For the fourth year running, fast food restaurants have seen business growing during the morning rush. Even as Americans cut back on dining out for lunch and dinner, new research found that restaurant visits for breakfast are on the rise. According to The NPD Group, a research company, there were more than 12.5 billion breakfast visits to U.S. restaurants in 2013, up three percent from the year before. Visits to "quick service" restaurants -- fast food -- were up even more, at four percent. "Breakfast continues to be a bright spot for the restaurant industry, as evidenced by the number of chains expanding their breakfast offerings and times," said Bonnie Riggs, NPD's restaurant industry analyst, in a statement. In recent years, restaurants like Subway, Starbucks and Dunkin' Donuts have added or expanded breakfast menus. Last month Taco Bell announced it would enter the breakfast business with a new menu scheduled to launch in late March. "A restaurant morning meal serves a variety of needs," Riggs said. "In addition to helping us jump start our day, it satisfies the need for convenience, is less costly than other meals, and is readily available to us." The greatest increase in business was in New England and the Mid-Atlantic regions. 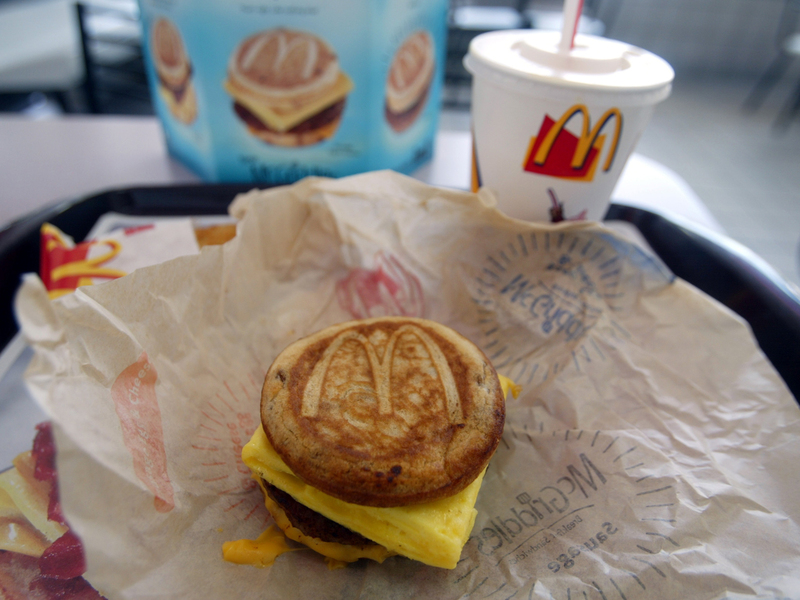 The average cost of a restaurant breakfast was $5.08, and slightly less, $4.33, at fast food establishments. Dinner and lunch, meanwhile, continued to suffer. Business was down one percent in both categories.